The Yellow Course has 18 holes in a forest environment with an average length of 100 meters (330'). One of two courses on site. Both courses are well groomed. A lot of work has gone into these courses - well worth a trip. 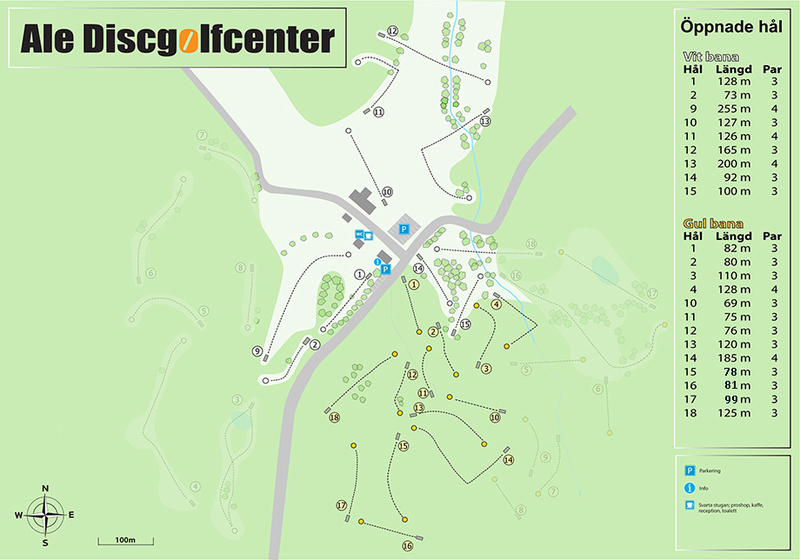 A disc golf paradise with two courses, a pro shop, driving range and more; on the same location.